We are a used car dealership located in Painesville, Ohio. To speak to a representative, please give us a call at (440) 357-8333. At Action Motors, our primary focus is you, the customer! We have an excellent selection of quality pre-owned inventory located in Painesville, Ohio. Stop by today and let our experienced professionals help you find the car you've been searching for! Our goal is to provide each and every customer with an honest and fair approach to purchasing their next vehicle. 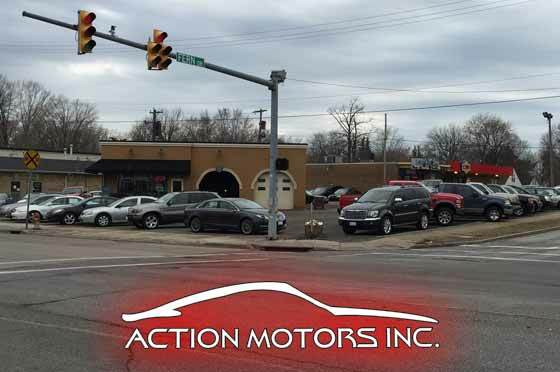 Stop by today and see why so many others joined the Action Motors family! To speak to a representative, please call us at (440) 357-8333.